WELEDA were so kind to send me some products from their lavender range. If you are not familiar with WELEDA ,they offer products that contain 100% natural ingredients that are also Dermatologically tested and skin friendly. Their many products cater for individual skin complaints and upsets and they even do a baby range. I have been a fan of lavender since my young teens, when i was having trouble sleeping. de-stress and wind down after a long day. anti-inflammatory properties may speed wound healing and help some skin problems. 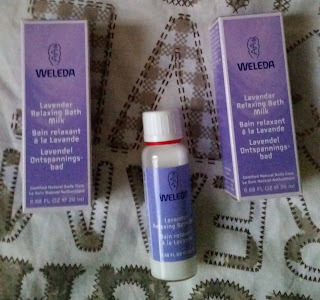 The bath milk is one of Weleda's best selling products. It soothes both senses and the physical body by helping to reduce tension and ease restlessness. A perfect aid to use for preparing for a peaceful nights sleep. The bath milk can also be used in a whirlpool or spa bath to ease minor aches and pains or in a foot spa to ease restless feet. If you are in a rush and time is against you, splash a little of the milk onto a flannel and lay flat in the shower tray, the cascading hot water will release the vapours to revive body, soul and spirit. You can always try a few drops on a steamy hot face cloth as a calming fresher to beat the stresses of the day away. Shake bottle before use and pour 2-3 capfuls into running water. For a basin or foot-spa then add 1 capful and agitate water to mix the milk. This creamy milky lavender soon gets to work when in contact with the water and the aroma of lavender fills the room preparing your senses for a relaxing experience. It will not foam as it is free from artificial foaming detergents. This left my skin super soft and i felt really relaxed and calm. After use when the bath drained, this didn't leave the bath oily. The lavender bath milk is a lovely product to use when your wanting that special "ME" time. The oil base is sweet almond oil from California - a fine, light oil that's very skin friendly - combined with organic sesame oil from Senegal. The heady lavender fragrance is balanced by a warming base note of essential oil of frankincense, and a sweet floral top note of palmarosa. This soothing, harmonising oil provides gentle, comforting relief for body, soul and spirit. Apply a small amount to moist skin and gently massage until fully absorbed. Can be used on face as well as on the body. This clear body oil is such a delight to use and the lavender fragrance instantly calms and soothes any tensions into submission. You only need a small amount to cover an area but is instantly absorbed into dry thirsty skin seeking moisturisation. Super soft skin without that greasy feeling and a fragrance that is so calming, this is a winner! 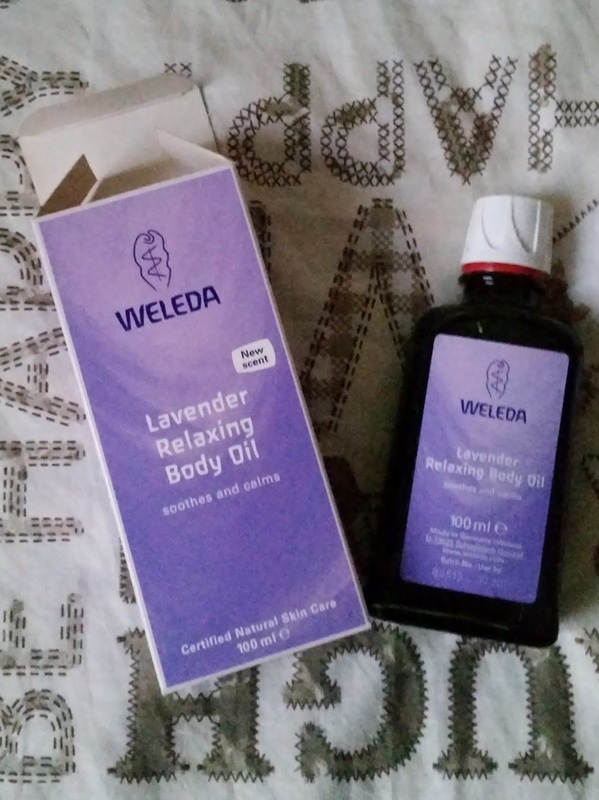 If your interested in Weleda's amazing products and also some great advice, the link is below. X Neal.